Death registrations are a permanent, legal record of death of an individual. Access to or termination of other government services such as health card, pensions, voters list, etc. To register a death a family member the Funeral Director usually completes the Statement of Death with information about the deceased. At the same time, the Physician or Coroner attending the death completes the Medical Certificate of Death containing the cause of death information, which is given to the Funeral Director. 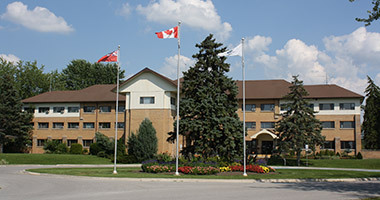 Both forms, along with a request for a burial permit must be submitted to the Town of Georgina's Division Registrar (in the Clerk's Division Office) by the Funeral Director. After they are received and recorded by the Town, they are forwarded to the Office of the Registrar General for registration. Burials cannot take place without a burial permit and registration at the Town of Georgina.